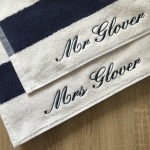 This beach towel makes a great gift as it can be personalised with a name or word of your choice. 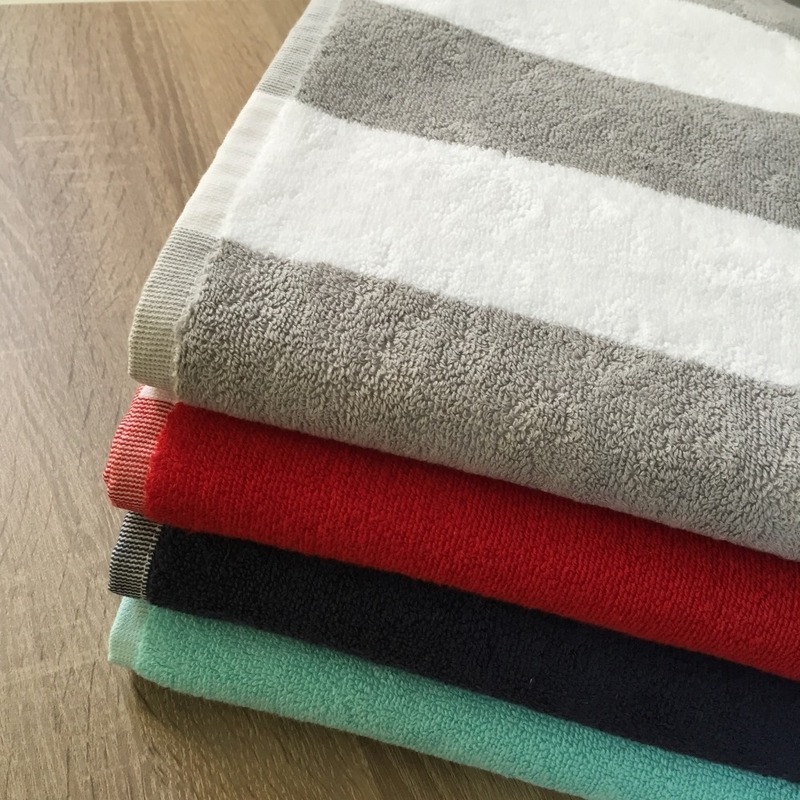 Choose from 4 gorgeous colours, all featuring bold block vertical stripes. 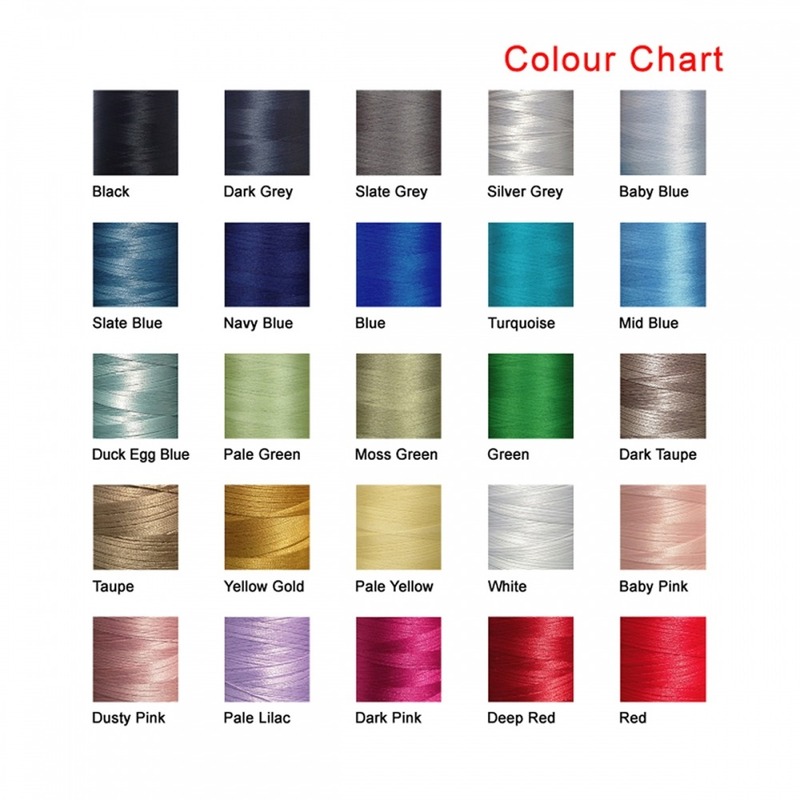 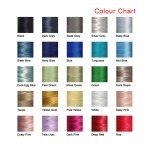 Shades include mint, french navy, deep red and grey. The embroidery will sit within the white stripe as shown in the picture.